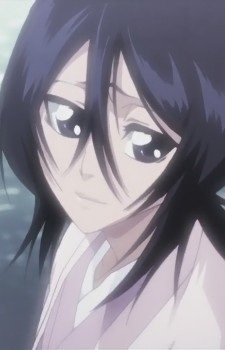 She is the deceased wife of Kuchiki Byakuya and older sister of Kuchiki Rukia. Hisana abandoned Rukia as a baby because she unable to support them both, an action she regretted for the rest of her life. Byakuya Kuchiki took Hisana as his wife against the wishes of his family because of their policy against marrying commoners. Not long after their marriage, Hisana became severely ill and eventually died from her illness. On her deathbed, she begged Byakuya to search for her sister Rukia and protect her.